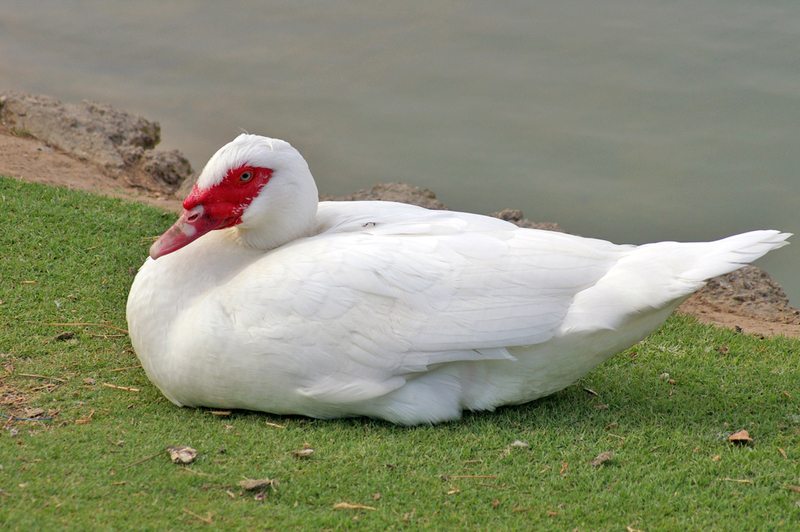 The Muscovy Duck, Cairina moschata, is a large duck which is native to Mexico, Central and South America. A small wild population reaches into the US in the lower Rio Grande River basin in Texas. 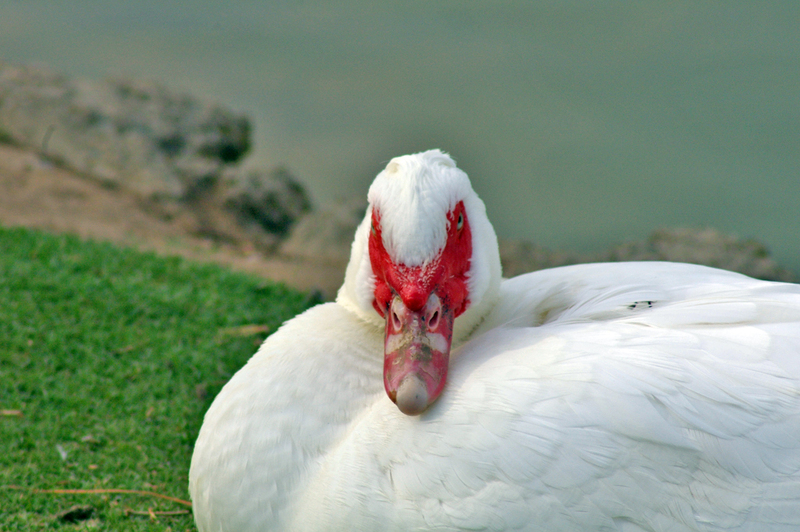 The Muscovy Duck doesn't swim as often as other ducks due to their underdeveloped oil glands. Large, usually domesticated duck; wild birds are dark with white wing patch that is visible in flight; domesticated birds occur in any mix of white and black. Crested head; bare face, may be black or red or a combination, has large wart-like knob at the base of the bill. 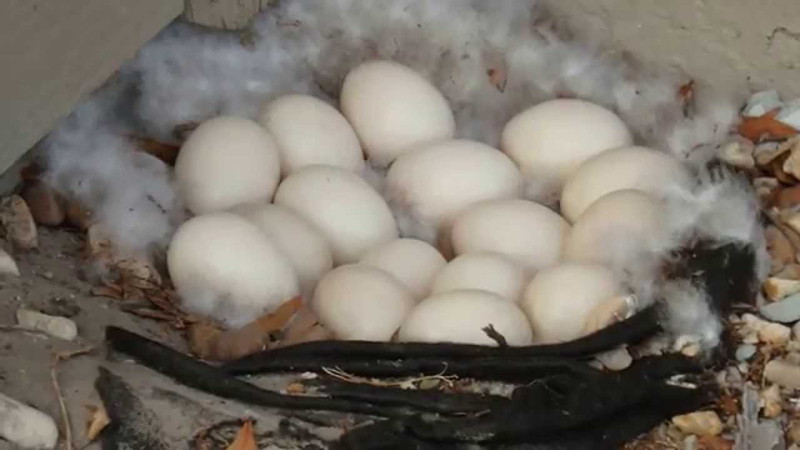 Prefers forests near water where it roosts in trees at night and nests in tree cavities. Feeds on vegetation by dabbling in ponds, lakes and, rivers. Feeds on vegetation by dabbling in ponds, lakes and, rivers. Eats insects and seeds found in grain fields. Neotropic Cormorant has a more slender body, longer, thinner neck and tail, and lacks white patches on wings. 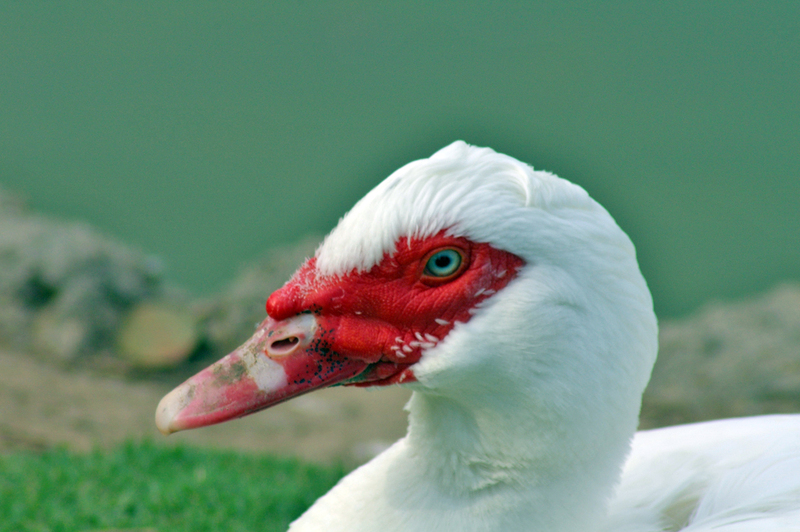 Muscovy Duck: Mostly silent. Male hisses, female may "quack" or utter a gutteral "croak."